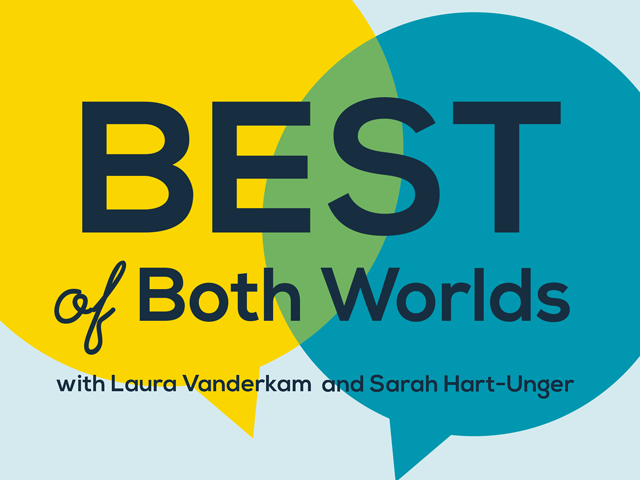 I was really excited to be interview by Laura Vanderkam and Sarah Hart-Unger earlier this year for an episode of their Best of Both Worlds podcast. This podcast is my favourite and always jumps to the top of my playlist when a new episode is released. I talk about parenting a special needs child and juggling those complex needs with work and life. There are some technical issues with the sound but hopefully, the information shared is valuable. Laura and Sarah ask quite probing questions and I was happy to open up and answer them. I have NOT listened to the episode because hearing your own voice is just, ugh! Hubby listened to it one evening this week and I had to go to another room and close the door so I couldn’t hear it! I’ve also been asked this week to give a talk at a writing conference I’m attending this summer, again on time management. This will be answering questions about being prolific with writing while juggling life. Should be fun. And terrifying. But let’s focus on the fun. January’s read list will be up soon. The month started slowly – mainly because I was in Bali for the first 10 days which I imagined as a typical solo holiday where I’d get loads of reading done, and actually ended up with precisely zero time to read! I think I finished the month having read 6 books. I may or may not have chosen some shorter ones to get that number up. Competitive reading, anyone? !